The Apartment is a welcoming, ground floor holiday property set in the grounds of the owner's art gallery, 1.5 miles from Hawkshead in Cumbria. 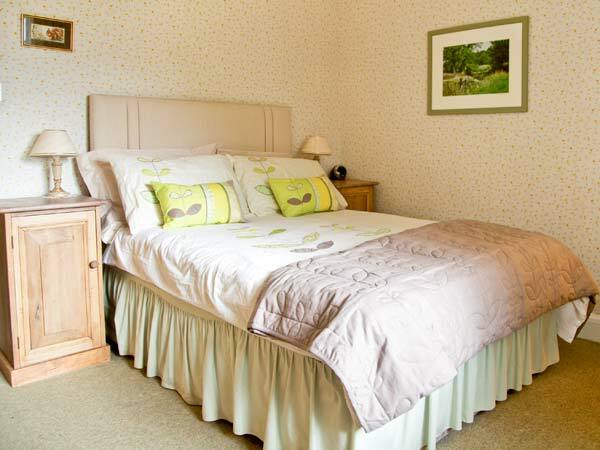 There are two bedrooms, one with an en-suite, offering accommodation for up to four people. There's also a family bathroom and an open plan living area with kitchen, dining area and sitting area. 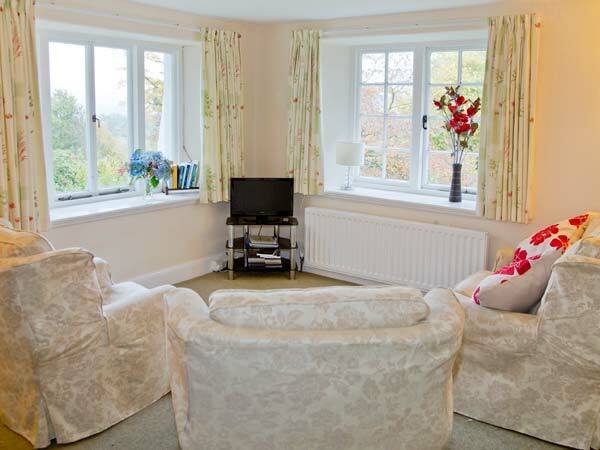 Outside, there is ample off road parking and shared gardens. The Apartment is a charming base from which to discover this spectacular area. All ground floor. Two bedrooms: 1 x double with en-suite bath, shower over, basin and WC, 1 x small twin with dressing room. Bathroom with bath, shower over, basin and WC. Open plan living area with kitchen, dining area and sitting area. Gas central heating. Electric oven and hob, microwave, fridge, freezer, dishwasher, TV with Freeview, DVD, WiFi, selection of books and games. Fuel and power inc. in rent. Bed linen and towels inc. in rent. Ample off road parking. Shared gardens with furniture. One well-behaved dog welcome. Sorry, no smoking. Shop and pub 1.5 miles. Note: There are 8 stone steps leading down to the property's private entrance.